While technology has come a long way from the days of sitting over a bucket with a washboard and some soap, laundry is still a chore. Sorting, loading, unloading, reloading, folding, putting away – it’a lot of work! Front load washers and dryers make it less taxing but you still have to either crouch down or bend over when loading the machines. Raised laundry machines, however, put an end to the bend. Laundry room designed by Archiblox. 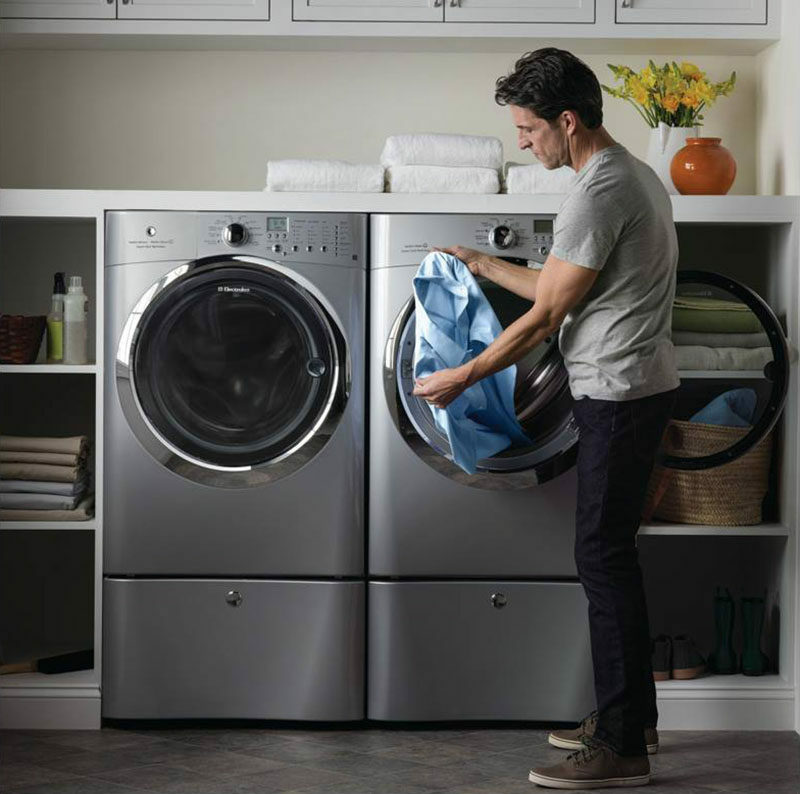 Elevating your washer and dryer eliminates the need to bend and crouch and makes the whole job feel a lot less chore-like. 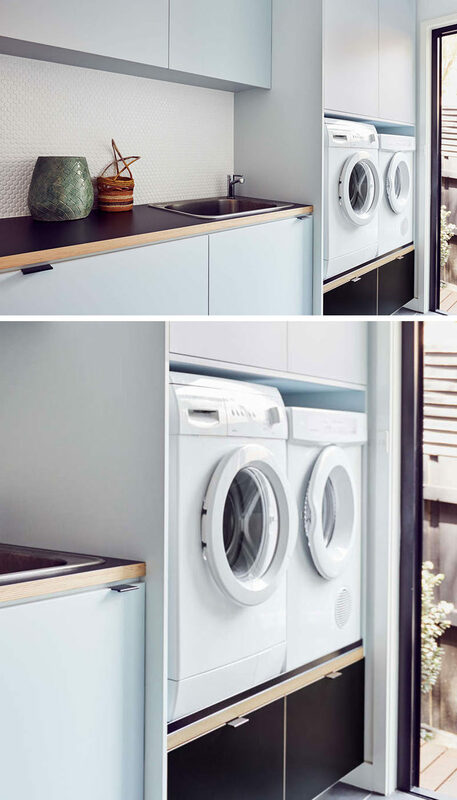 It’s also a great way to get more storage space and can help make more use of the laundry room. 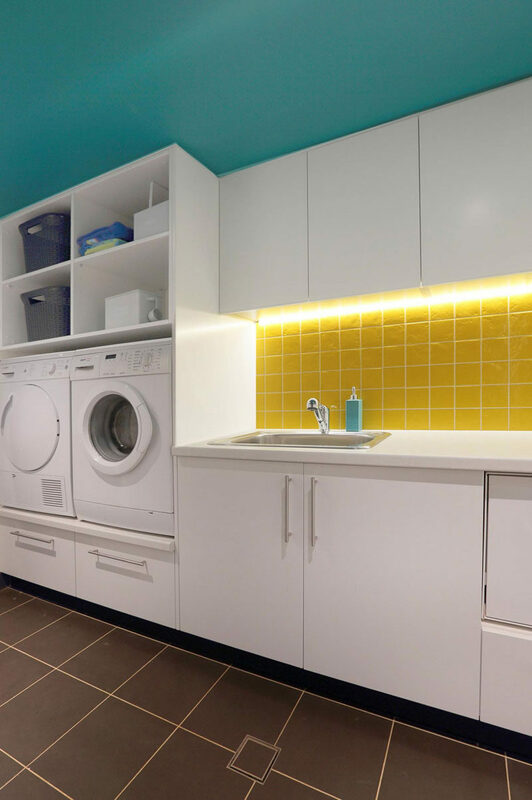 Laundry room designed by Inside Out Colour & Design. And if you don’t want to have a custom-designed shelving unit built, there’s also the option of buying them already raised, like the ones below.